It seems fitting that the Londonphile’s first book review features two of my very favourite things: London (naturally) and the Thames. 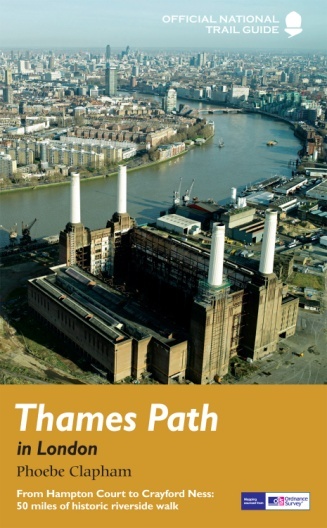 As many Londonphiles out there would undoubtedly be aware, there is already a guidebook that leads us down the Thames Path. But Phoebe Clapham’s new publication – Thames Path in London – is unique in that it focuses on the areas within London, starting at Hampton Court and taking us all the way downriver to Crayford Ness, on the Thames Path Extension. That’s 50 miles (or 80kms if you prefer) of good guidance! Just like David Sharp’s Thames Path guide – published in the same series by Aurum Press – Clapham’s tome contains top notch Ordnance Survey maps. A yellow line is superimposed onto these maps to clearly demarcate the Thames Path (which as fellow Thames-lovers would know, can be surprisingly meandering in places). It is further designed for ease of use by having each of the eight sections that the path is divided into begin and end near a station. Practical tips on essentials such as eating and drinking are also provided at the start. One of the best aspects of Thames Path in London is the semi-regular break-out sections featuring information on various historical sites, events and themes found along (or in) the Thames. These vary from the well-known (Tower Bridge and London Bridge) to more esoteric themes such as Arcadian Thames and the pleasure gardens of a bygone age. Not only are they interesting and well-researched but they serve to break up the constant direction-giving necessitated by such a guide. Clapham’s book is also interspersed with historical images – including illustrations, photographs and paintings – ensuring a publication that goes above and beyond the call of the average functional guide, and one which helps to bring to life the fascinating (and often lost) history found along the Thames. Although the guide has no index – as is also the case with Sharp’s guide – the main map at the front shows how the full route is divided up into the eight sections, and the main areas included in each of these. It’s tricky writing a guide to a path that is found on both sides of the river for much of its duration. The guide gets around this by dividing the text up into the North Bank and South Bank according to colour (purple and green respectively, just so you know). Two substantial circular walks diverting off the path (in Richmond and Limehouse), written exclusively for this publication, are also included. You will certainly be in safe hands following Clapham’s directions along what is the section of the Thames Path most densely packed with sights, history and, well, just about everything really. And as the publishers note, it will also come in handy for anyone attempting to follow the Jubilee flotilla on foot in June! 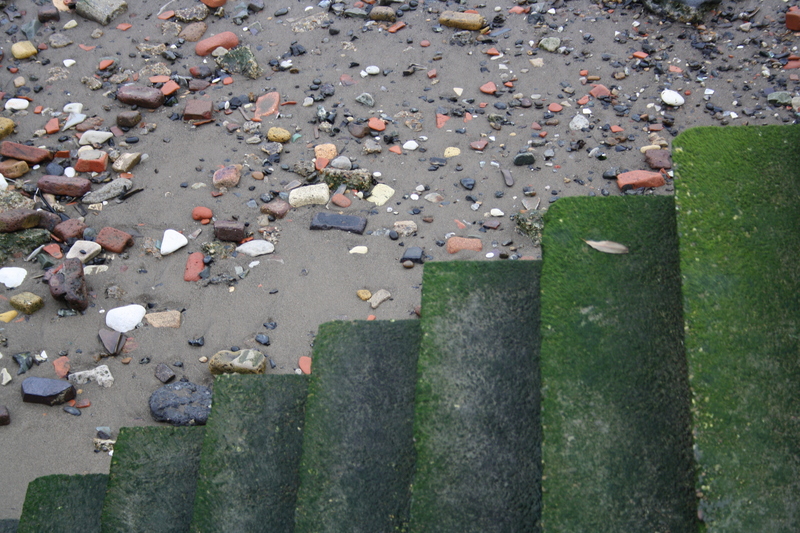 Thames Path in London, by Phoebe Clapham, will be published by Aurum Press this Thursday 24 May. RRP is £12.99, but thanks to Aurum I have one copy to give away to a lucky Londonphile follower out there. WIN A COPY: Twitter followers can tweet me via @londonphile to enter; Facebook followers can add their name to the list I will create on www.facebook.com/thelondonphile. New followers are welcome to join in too! Competition closes 5pm Tuesday 29th May. A winner will be selected randomly and contacted directly. This entry was posted in Books, Thames, Walking tours and tagged Aurum Press, London walks, Phoebe Clapham, Thames Path, Thames Path in London by thelondonphile. Bookmark the permalink. Would be handy to have for less explored bits!